The fourth part in one of the most famous FPS franchises in history, originated by id Software Studio in 1993. In 1993, Doom made its debut, forever changing the genre of first-person shooters. Over two decades later, the fourth full-fledged installment of the series, being a sort of a reboot and comeback to the roots, came out for PC, PS4 and etc.. It was developed by the creators of the original Doom, a Texan studio called id Software, established by true legends of the industry, such as John Carmack and John Romero. Although id Software produced games like Rage, two leading franchises continue to be the company’s hallmark: Doom and Quake. From among all platforms for which Doom came out, the PC, PS4 and etc. version traditionally looks the best. It is devoid of typical console limitations, offering a wide selection of graphics settings as well as options and effects unavailable for PlayStation 4 and Xbox One users. The key story premise, which binds subsequent installments of the Doom series together, did not change significantly. In the game, we yet again assume the role of a lone commando and are sent to a military research facility of the UAC corporation on Mars. Upon our arrival, it turns out that in the course of some experiments, the scientists accidentally opened a wormhole, letting hordes of terrifying monsters into the base. Following his enemies, the protagonist will explore the vast area of the UAC facility to end his journey right at the heart of hell itself, facing the most powerful of demons. When compared to the previous installment of the series that was traditionally full of horror elements, the new Doom for PC, PS4 and etc. puts an emphasis on fast-paced, dynamic action which brings it closer to original Doom and its sequel, Doom II: Hell on Earth. We therefore focus, first and foremost, on spectacular elimination subsequent enemies with a large variety of weapons. Our arsenal consists primarily of new versions of the already known guns and gadgets, such as the chainsaw, Plasma Rifle, Chaingun and Railgun. At the same time, the protagonist gained completely new skills, such as enhanced jump, the ability to pull up on edges, as well as finishing off stunned enemies with spectacular moves, such as ripping off body parts or guts. The developers from id Software implemented a classical system of health regeneration in the form of first aid kits and brought back the armor points from the original Doom. Combining these characteristic elements with a number of new solutions made the gameplay faster and more brutal – in the new Doom blood is flowing like a river. Similarly to the previous installments in the Doom series, one of the game’s key elements is its extensive multiplayer. It offers a number of competitive options in several variants. Thanks to a multitude of power-ups, gameplay is even faster than in the single player mode. Id Software decided to take online play one step further, by offering the players the SnapMap feature. With this tool, everyone can create not only their very own maps, but also scripts and game modes: from repelling subsequent hordes of enemies in cooperation with others, to classical deathmatch, either free-for-all or in teams. Furthermore, each multiplayer map contains a lot of various bonuses that allow us to, for example, temporarily become a flying demon, deal quad damage or see through walls. 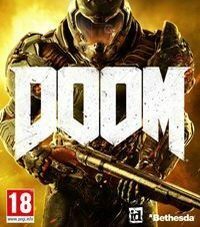 Since from the very beginning the game was developed with state-of-the-art PCs and the 8th-generation consoles in mind, it should not be a surprise that the new Doom for PC, PS4 and etc. looks spectacular. It is powered by the so-called id Tech 666 engine. The game is characterized by intense violence, although it does not diminish the feel of the characteristic gameplay elements as well as the unique atmosphere of the series.